You will Watch G.I. Joe: A Real American Hero Season 2 Episode 23 online for free episodes with HQ / high quality. Stream cartoons G.I. 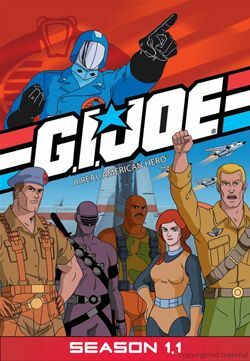 Joe: A Real American Hero Season 2 Episode 23 The Most Dangerous Thing in the World While Hawk was attending a NATO meeting, Cobra hacks into the Defense Department and upgrades Shipwreck, Dial-Tone and Lifeline to the rank of Colonel.